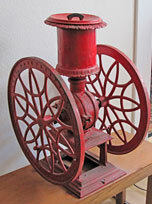 One of the oldest objects on our collection is a large coffee grinder from the Dunstan Brothers' Store. 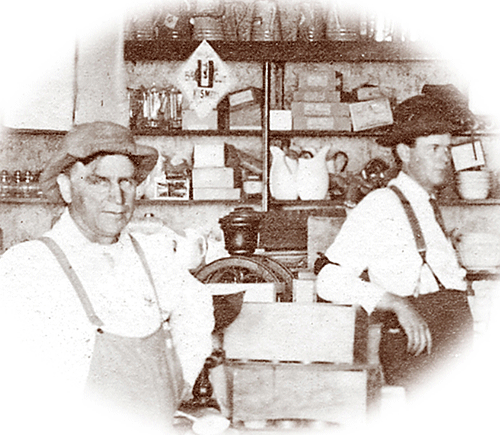 Oliver, William and John Dunstan operated Dunstan Brothers' General Merchandise on the ground floor of the IOOF Hall (current site of the Riverside Tavern) from about 1905 until 1929, when the Hall was torn down due to the widening of River Street. The coffee grinder was donated some years ago by Bill Baxter to the Tolt Historical Society and in 2010 came home to Fall City.